So we have survived another Halloween, and now we are RACING towards the end of the year. November and December are so super busy for us, because soccer season is still going and swimming season has started, not to mention robotics and chess team and tutoring and all the other activities the kids do. Plus, four of our six kids have birthdays in the six or so weeks that lead up to Christmas, which means we have zero extra money to spend on decorating the house! Because we’re so strapped for cash after buying ALLLLLLL the birthday and Christmas presents, I try to look for easy (and free!!) ways to make the house feel festive without having to totally redecorate between Thanksgiving and Christmas. This is how I decorated our dining room and living room last year. As you can see, I love red and green anyway. I just tried to add browns in with them for a more Thanksgiving feel, and then deleted some of the brown once it became time for Christmas decorations. I find that the older I get and the larger our family becomes, I use less holiday-themed knick knacks. It’s such a struggle to keep our house less cluttered and chaotic anyway, so I find that the extra things just add to the confusion. So if I were able to buy things and decorate this year exactly the way I wanted, I would add lots of greenery! Not only does it look festive, but it smells good. 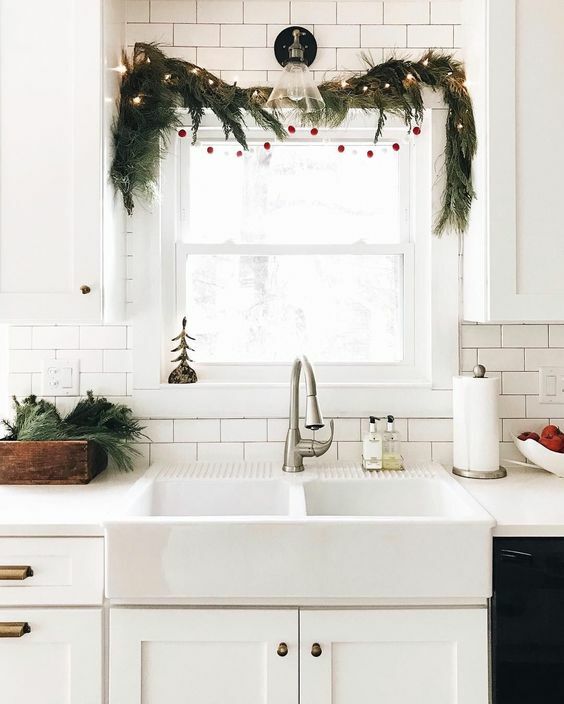 I love this simple garland over the kitchen window. (Photo via Apartment Therapy) Last year I had a set of twinkle lights over the window at our kitchen sink, and I would plug them in every morning at 5 am when I was pouring my coffee. They made the kitchen feel so glow-y and cozy! This gorgeous and simple tablescape from On Sutton Place is exactly the look I love to have from the first of November right on through January! 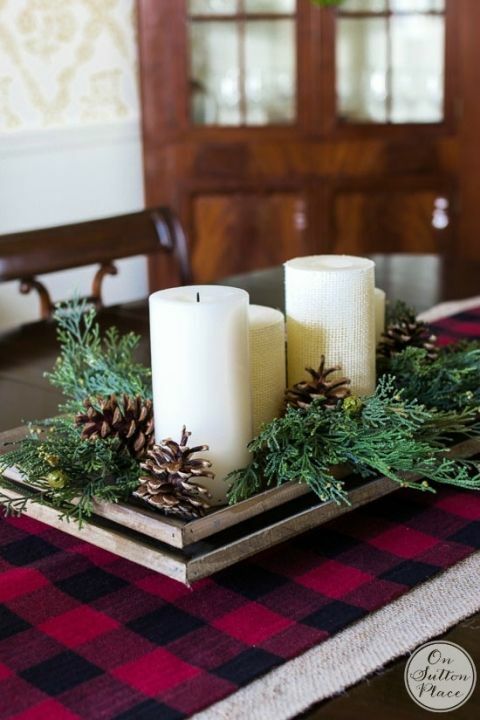 I’m always a sucker for red plaid, and these natural elements make it versatile as well as festive. I love it! She gives a great tutorial for making this buffalo plaid runner, and it doesn’t even require any sewing, so even those of us who aren’t domestic divas can duplicate this look. This is my dining room, and I think this year we will try relocating the antique chair and plant stand and putting our tree in the bay window. We’ve moved so many times lately that I still haven’t located all of our Christmas ornaments, but I favor a simple tree aesthetic anyway. Here are a couple of my favorite ideas for that…less ornaments = less for the little boys to break! 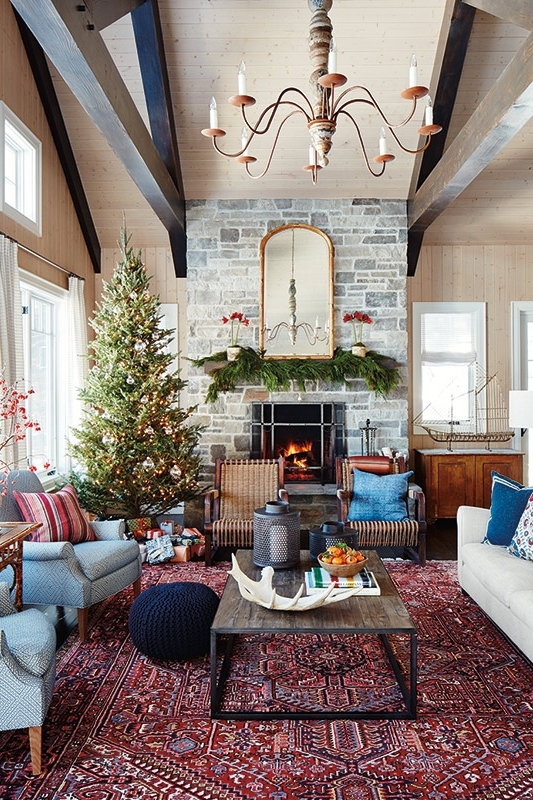 This living room is from a cottage designed by Sarah Richardson, whose style I always adore. I love the mix of simple and traditional, and the tree is PERFECT. Oh man, I’ve had so much fun finding all these different inspirations for holiday décor this season! I think it’s safe to say that holidays with a big family are soooooo much fun, but they can be expensive, too. More people, more presents, more plane tickets, and all kinds of MORE. By adding small, festive details that are cheap and versatile; we have been able to significantly cut down on the extra Christmas spending. Plus, once the decorations have been out for a couple of months around the younger kids, they’re usually not in any shape to save for next year! That’s why I’m loving the simple greenery and clever uses of ordinary things in pics. How do you decorate this season? I’d love to see your ideas and hear your comments!! 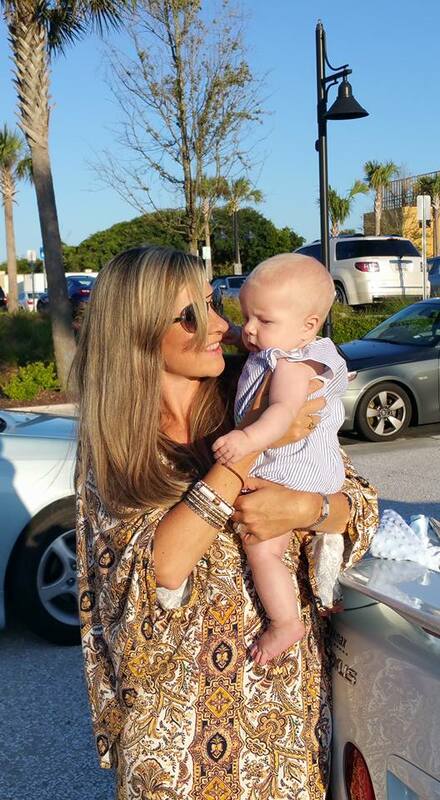 You’re doing a great job, Mama! Sometimes you just need a friend to remind you of that; subscribe to my weekly email so we can encourage each other!